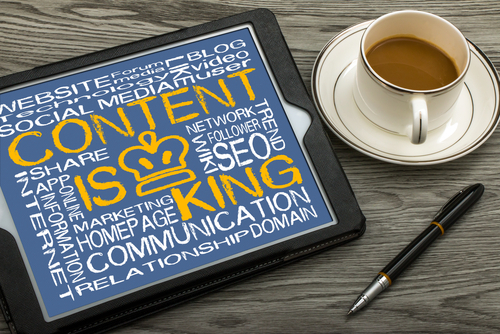 Are your hotel content marketing strategies missing the mark? As a dedicated hotel owner, you paid attention when articles claimed that content marketing was the way to bring in more guests. You started a hotel blog, send out Tweets and posts, set up an account on Instagram, and created a YouTube channel. You know that some hotels have found great success using content marketing, so why aren’t you getting the response you hoped for? While there are a variety of factors that can affect the success of your content marketing efforts, we’ve put together 5 tips that will help you correct some of the most common content marketing mistakes that hoteliers make. While they may not fix all your marketing woes, they should certainly help make your hotel content marketing strategies more effective. When writing about your hotel, it is easy to slip into the same superlatives and catch phrases that everyone is using. Your “hidden gem” of a hotel has “breathtaking views” and “incredible sunsets”. Problem is, some words and phrases are so commonly used that readers don’t really see them anymore. They certainly don’t inspire prospective guests to book a stay. Trade in the tired catch phrases for descriptions. Look over a recent blog or post that you’ve written. Take out the line about “breathtaking views” and instead describe what your guests get to see. I’m not going to tell you to create word pictures (see, avoiding catch phrases!) but if you search out the clichés and replace them with descriptive text, you’ll have a much more effective piece of writing. This is probably the most important thing you can do to get a better response for your content marketing strategies. Search engine optimization (SEO) helps your content to show up on the first page of results when prospective guests are researching their travel plans on Google or Bing. Simply stuffing keywords throughout your copy isn’t going to work, though – you need to incorporate keywords in a more natural way and in the right places. SEO can be applied to all of the content marketing strategies for hotels, from blogs and posts to videos and photos. There are a lot of resources online that can explain how and where to add keywords, or you can turn to a travel marketing agency for assistance. You want to put your best foot forward, but trying to oversell your hotel can bite back in a major way. With all the travel review sites out there, posting false claims about your hotel is going to result in a backlash from angry travelers who will take the time to post negative reviews if they feel deceived. With a little work you can turn a negative into a positive. If your hotel isn’t at the heart of the active nightlife district, don’t try to say it is. Instead, write that your hotel is just minutes from the nightlife district but far enough away to enjoy a quiet, uninterrupted rest. Twitter – weekdays from 12:00–3:00 p.m. and 5:00 p.m.
Instagram – Mondays and Thursdays at any time except between 3:00–4:00 p.m. Posting content that is filled with spelling and grammar mistakes isn’t going to attract travelers to your hotel; it may actually have interested parties turning away before they read the first paragraph. Always, always run your writing program’s spell and grammar check on your content – most programs have a setting that allows it to make corrections on the fly as you write. There are a lot of grammatical errors that can slide through these automatic programs so you should also have someone else check over your content before you post. If you would rather focus on managing your hotel, you can trust Travel Tech Strategies to handle your hotel content marketing strategies for you. As a full-service, dedicated travel marketing agency, we can provide you with expert SEO content creation services, monthly content maintenance packages, and more to extend your hotel’s marketing reach. We offer a full suite of support services for your interactive hotel marketing strategies including responsive hotel web design, mobile apps, and more, along with intelligence from travel big data to refine your efforts. Contact Travel Tech Strategies today at 954-779-2801 for more content marketing tips for your hotel along with expert marketing support services to extend your marketing reach!